March 15 – You’ll be introduced to TRIAD, then Todd Grace of Mullins and Thompson Funeral Home will discuss making funeral and cemetery arrangements, Social Security benefits and insurance options. March 22 – Jamie Warfield, Spotsylvania Circuit Court Clerk will discuss how to prevent legal issues within your estate. 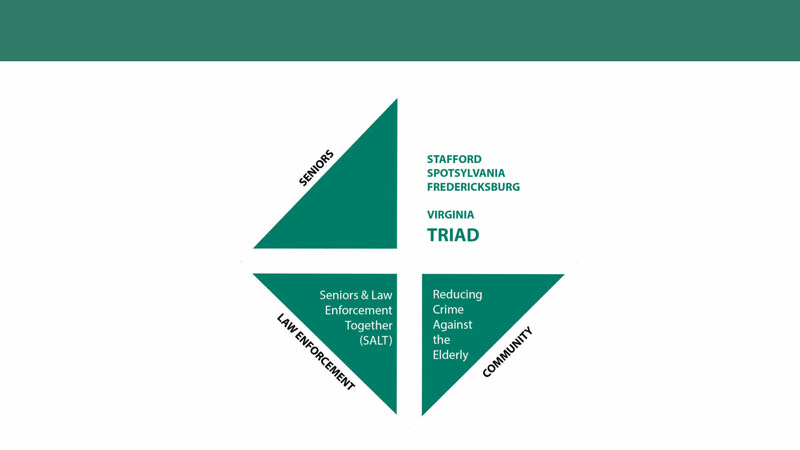 Learn from Stafford County Deputy Jim Hamilton’s and TRIAD Coordinator Leigh Baysden’s personal experiences. March 29 – Gaby Coronado, owner of Coronado Law Office, will speak about wills, trusts and legal protection. Also included is “Let’s Talk” about the Conversation Project with Mary Washington Healthcare. Your registration will include all three sessions. There is no cost for this event. Ebenezer members should register ONLY on the Ebenezer site – we have 50 seats reserved for us so register early!